Expertise and finely-honed skills are must-haves when relying on a firm to assist in municipal and civil project planning strategies. We have proven expertise ranging from establishment of plans to the day-to-day implementation of capital projects. We develop strong client relationships and make client satisfaction a priority. We help clients overcome the challenges of planning new infrastructure, or rehabilitating existing systems, to enhance the overall quality of life and strengthen economic opportunities. We also assist with complex economic, environmental and land use needs. We complete sophisticated design analysis, ensuring compliance with governmental requirements and regulations. We also prepare specifications and tender documents and provide contract administration. Our team of professionals has extensive subdivision experience which encompasses hydraulics, storm water management, surveys, and design of infrastructure such as water supply, treatment and distribution, sewage collection and treatment, streets, roads and drainage. In addition to various standard software application models, our engineers have also developed several specialized in-house programs to aid in design. 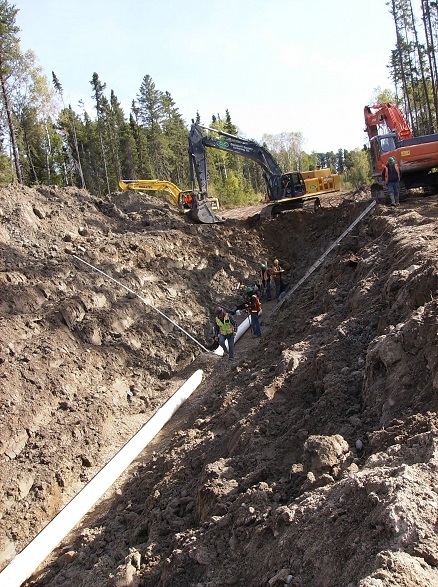 See a selection of our municipal and civil work.